Roofing your own home: nobody ever said it would be fun or easy. And it certainly is no fun to hand over a few of your paychecks to a possibly disreputable roofing company to do the work. If this video seems over-cautionary, it’s not. Roofing your own house is a big deal: if you start this job and find yourself underwater, you have little recourse except to beg a roofer to help you. Learn about safety lines and harnesses, weather considerations, city permits, roll-off dumpsters, and the question of where to buy roofing shingles without going broke. measure each section of your roof by multiplying the length by the width. That will give you your roof’s square footage. This roof has just two sections that are both 60 by 18 feet. Multiply them together and you get 1080 feet. Add the second side and you have 2,160 feet. Because roofing companies deal with such large quantities of shingles, they do not count individual shingles. Instead, these 10′ x 10′ units are called squares. Removing roofing shingles looks like pure grunt-work: jump on the roof and have at it with a shingle scraper or fork. Then you’re done. Right? Not so fast there. Removing shingles involves procedure, sheathing, gutters, utility lines, and much more than sheer ripping fury. Begin on the opposite side of the house as your dumpster. In the morning, when you’re fresh, you won’t mind walking across your roof to throw things out. But as the day progresses and you get tired, you’ll appreciate having the dumpster close by. Learn how with this nice, quick 2:30 video. If you thought removing shingles was all about procedure, just wait until installation. 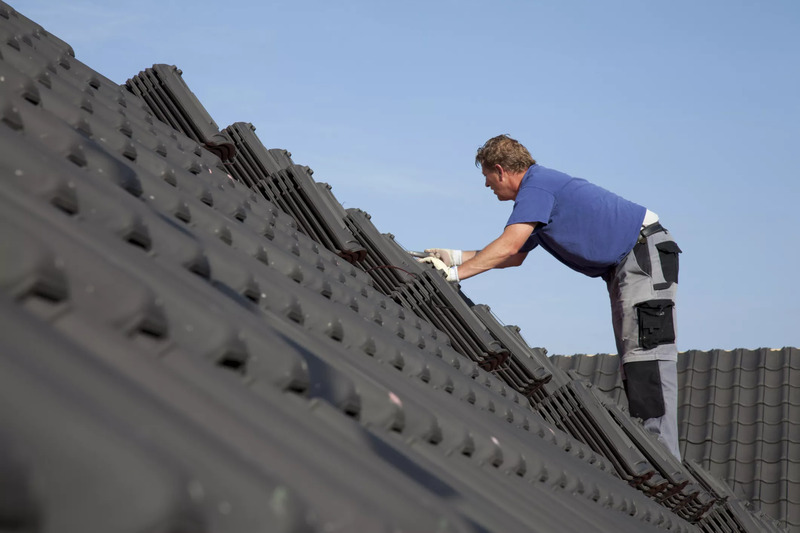 Sure, installing roof shingles is about materials such as the proper weight tar paper, safety, and special tools like tin snips and nail-guns. But get the shingling procedure wrong, and it will all be wrong–terribly wrong. That’s why this video covers the issues of starter shingles, how to begin, how to make sure your shingles are keeping straight, staggering, and yes, finishing off.